// this software, you may contact us at legalaffairs@codeproject.com, or by calling 416-849-8900. 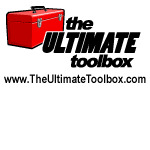 In January 2005, David Cunningham and Chris Maunder created TheUltimateToolbox.com, a new group dedicated to the continued development, support and growth of Dundas Software’s award winning line of MFC, C++ and ActiveX control products. Ultimate Grid for MFC, Ultimate Toolbox for MFC, and Ultimate TCP/IP have been stalwarts of C++/MFC development for a decade. Thousands of developers have used these products to speed their time to market, improve the quality of their finished products, and enhance the reliability and flexibility of their software.